A quick synopsis of the report below. The “splinternet“ is what most businesses find themselves up against now. The multiple channels of search paid search, social, video, email etc. are being accessed from a growing array of devices. This is translating into a more complex and more expensive avenue for the small business to market their products and services. You combine that with a small local business with a small budget and it’s easy to see why so many small business owners get discouraged with online marketing. You can DIY…but if you choose to use an outside consultant or SEO provider check them inside and out. Do they rank decently for their own keywords? They don’t have to be #1 because they should be devoting their resources to clients but they should be on the 1st page. Steer clear of outsourcing resellers, results can be good but not for all providers. More importantly, ask whoever you choose to amend their contract to include a quarterly milestone renewal so you’re not stuck with a company that can’t deliver. SEO is very effective but only if you get the results. 1. Know your market, your competitors and the keywords you should target (research where your clients will be researching – in the search results for your keywords). If you’re unsure about the words to use then try a free online tool like Google’s Keyword Tool. 3. Quality citations (local directory links like a Yellow Pages listing that Google uses to support the local ranking) built for the website. Tip – use Whitespark.ca to determine what citations are best for a particular business type in a particular city. 4. Clear on page focus with unique meta titles for each page, proper use of headings on the pages and unique content on each page – always with an eye to your keyword focus without being spammy. Your pages should be designed with your users in mind, not the search engines. To get on page relevance for your keywords, use them to write the pages about the flower services you offer – general delivery, wedding specialization, funeral specialization. Give the pages good focused meta titles (55 characters or less), good headings and write great content that people will want to read. 5. Social profiles are important from a marketing aspect but also in terms of the signals they create. Social signals are now used by Google and the major search engines as ranking factors. Each profile link, like, share, a tweet has SEO value for your website. Of course, they have a lot of value for client lead generation, customer service and humanizing your company as well. For a business like a local Florist, I would recommend a minimum of Facebook, Twitter, Pinterest and at least a LinkedIn company page. 6. Content, content, content. Create more relevant, valuable content to your clients and the search engines will love you. Content is King – there is nothing better for SEO than well written & optimized content. It generates links on its own and makes your site relevant to the search engine for the words you are targeting. Tip – make sure you share every piece of new content you create on your website to your social profiles. 7. Links are still important. Inbound links from 3rd party websites – the most difficult part of SEO – reach out to your offline contacts, sponsor a non-profit that offers a link in return, guest write on someone else’s blog, list yourself on niche directories for your industry or specialty etc. 8. Your website should be visually attractive, easy to navigate and the visitor should be able to order or contact you easily. Additionally, the website should be mobile friendly with a mobile version if at all possible. The 8 Must Haves can mean 6 months of work for the busy business owner trying to juggle running their business and keeping up with the growing complexity of just getting customers to serve. It is absolutely worth it though! If you don’t have the time or want to avoid the steep learning curve then give a company like us a call. Blue Tide Website Design is passionate about the Internet and we are constantly pushing to evolve the way it serves our clients. Started by industry veterans, Blue Tide is a local, full-service internet marketing agency that specializes in Search Engine Optimization (SEO). Our friendly no pressure approach is backed by trained & talented Digital Marketers, SEO Specialists, Social Media Mavens, Designers, Developers and professional Writers – all in-house – in Canada. Search is at the center of how people and businesses engage with the web. What happens in search has a direct effect on business and the economy. It is an intrinsic and vital element of our daily lives. Search is the ultimate test of survival of the fittest. To stay relevant, trusted and used, a search engine must deliver robust, accurate results that answer the searcher’s query. For a business, online search is the ultimate proving ground of ideas, value, and merit. The online world benefits those businesses that honor a client-centered approach – The “good guys”. For us, it’s an honor to help businesses build a dominant position online through the development of great content and great engagement. Online the good guys do finish first and we are privileged to help them do it. 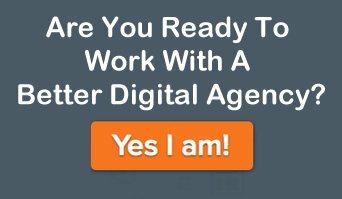 Let us show you what it’s like to work with a better Digital Agency.